He is the founding member and co-owner of the company Orange Design, founded in 1993. In the year 2000, Person opened up his own design office fp.formgebung. He channels his creative energy into the design of utility items. Frank Person’s designs are characterized by durability and a clever materials usage and have been honoured by IF Hannover and Design Center Stuttgart, to name a few. 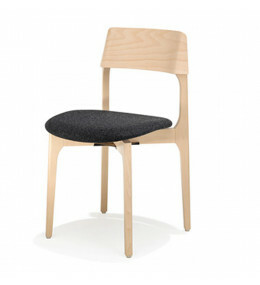 1010 Bina Chair is ideal for breakout areas in the office, bistros, canteens, restaurants, cafes and for dining.